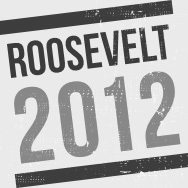 Those involved in Roosevelt2012 come from a wide background, from inside and outside of France. They include former Prime Minister Michel Rocard, French Greens activist Éric Piolle and Greens/EFA MEP Philippe Lamberts. The Hope for a New Model? Four years into the economic crisis, the global economy continues to verge on catastrophic failure. Debt-fueled capitalism, and its resulting inequalities, appear at fault, but what is the solution?